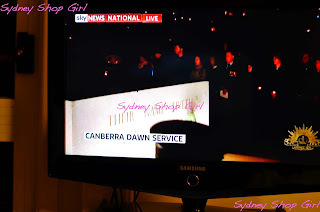 Sydney Shop Girl: ANZAC Day 2011. 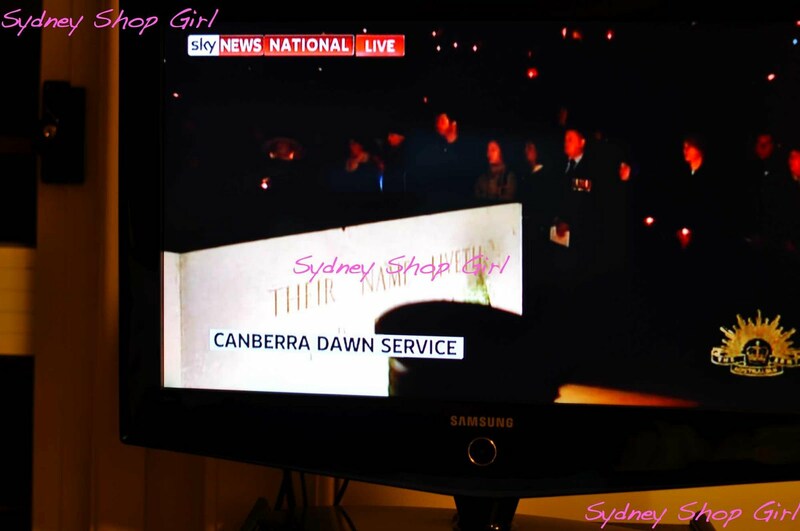 It's dawn on ANZAC Day here in suburban Sydney. The rain is steadily tapping the roof. The sky is just brightening, the trees outside are beginning to come out of the shadows. The streets are uncharacteristically quiet for a Monday morning. Mornings begin like this, in foreign countries, where Australian troops are just doing their job. The mood though is different when you're working. The rain brings back memories of home and family. There aren't just shadowy trees in the breaking dawn. The streets are quiet because of war and conflict. 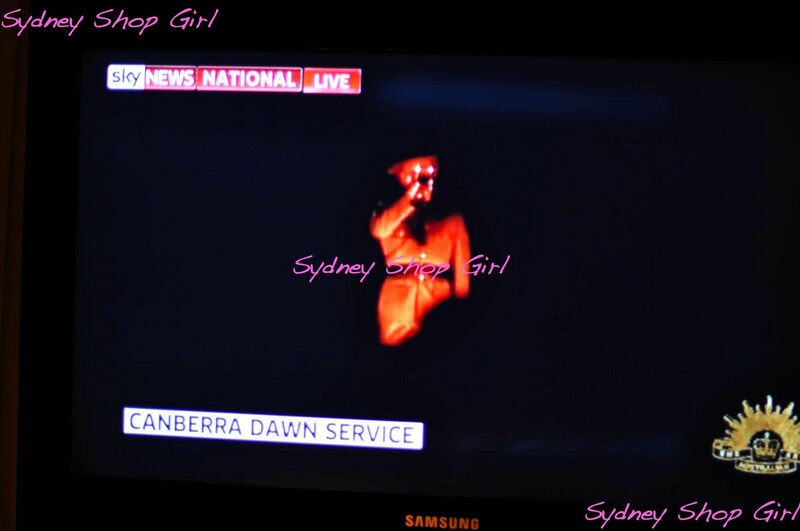 In Canberra, The Dawn Service has just ended at the National War Memorial. It was broadcast live on television and I am sure there are other households like mine where people have woken up a little early on a public holiday to reflect, remember and give thanks to the sacrifices of our service men and women. The service was respectful of the past and relevant to modern Australia and its role in the current political instability around the world. Despite the technology of 21st century television, the broadcasters were sensitive to the gravity of the occasion. There were no extra lights, correspondents reporting on the ground, voice overs, slick editing or extreme close ups of speakers. The camera crews kept their distance and worked with what they were given. Then, the service ended and the darkness lifted. The broadcasters then did their live crosses to current serving men and women. The messages to family were personal and poignant. Their messages to the rest of us simple and selfless "Don't forget to have a beer for me", "It would be great if you could spare a few moments to remember the men and women who've died for our country". We will. It wasn't the time to debate the validity of our participation in these conflicts. It was a time to remember the ordinary people. It wasn't the time to glorify or gloat over the downfall of dictatorships brought about by war. It was a time to appreciate the peace, freedom and safety of this country. The Lone Bugler played the last post at the end of the service and there was 2 minutes of silence. I reflected on the dead service men and women of past world wars and their chirpy comrades who grace the wards at work with their dignity and resilience. I thought of the families in 2011 who have lost children and parents in peace keeping missions. I hoped that all women in the defence forces will have a future where gender equality will not just be a few sentences in a policy or press release.